Kremlin is sure that the withdrawal of Ukraine from the Commonwealth of Independent States (CIS) will not influence the work of the organization but will negatively affect Ukraine. Andry Shvedov, the Permanent Representative of Russia to CIS claimed this as Izvestia reported. He claimed that the decision of Kyiv 'was predictable' and it aims 'to completely keep Ukraine away from Russia'. Shvedov also reminded that the full procedure of the withdrawal from the CIS takes 12 months and Ukraine will be legally considered as a CIS member during this time. At the same, there were no Ukrainian representatives at the CIS during the last four years. 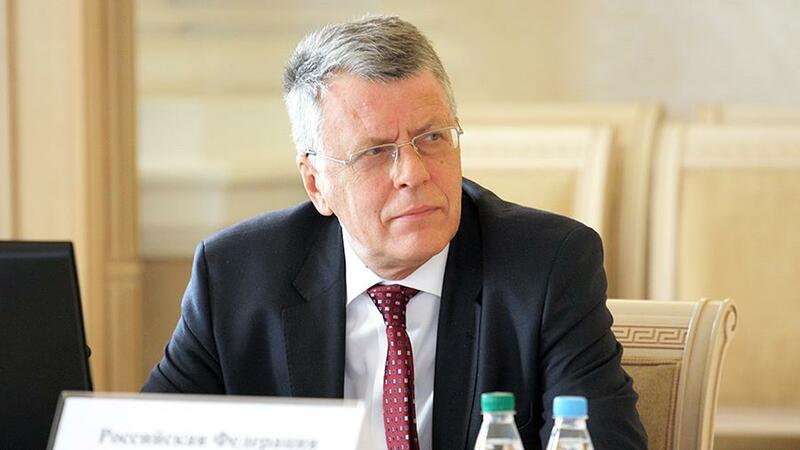 'There are no Ukrainian officials at the apparatus of the Executive Committee of the CIS. Ukraine has asked to not invite it at the sessions of the highest statutory bodies anymore. But Kyiv neglects these events since 2014. The possibility to stay at the particular multilateral agreements of the CIS is a subject of the separate negotiations with other 10 countries-members of the CIS. The Ukrainian side will define who is going to deal with the withdrawal instead of the workers of the closed permanent representative office', Shvedov claimed. He also expressed the confidence that this step has no practical sense for the successful integration to Europe but it will harm Ukraine, undermining its inner potential necessary to hold the reforms. 'Rather, the resources of the regional cooperation will strengthen the inner potential of a country aiming to Europe. Moreover, the issue is about the difficult and long-term process. However, these considerations that are quite pragmatic were not meaningful and the geo-political plan of the strategists of the Ukrainian events aimed to keep Ukraine away from Russia'. As it was reported earlier, on April 12 Petro Poroshenko stated that he indented to present a bill on termination of certain articles of the agreement on friendship with Russia. The President also called the Cabinet of Ministers for suspending the participation in the Commonwealth statutory bodies and supported the withdrawal of Ukraine’s representation in the relevant institutions in Minsk. Later, Iryna Lutsenko, the people’s deputy from Petro Poroshenko Bloc, the President’s representative in the Parliament, stated that Ukraine would not denounce a series of agreements within CIS, including those on diplomas’ recognition, recruitment and transit.